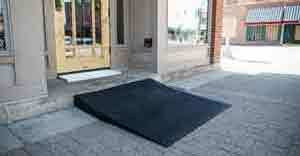 If you are disabled, you need a safe way to get into your home, and if you own a business, church, or any other organization serving the public, you need a way to give as many people as possible a safe way to enter its premises. 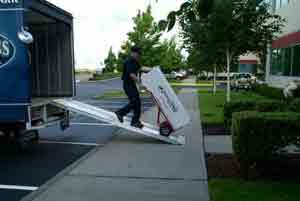 Express Ramps provides permanent or portable handicap ramps that are safe and can be shipped to your location free of charge. 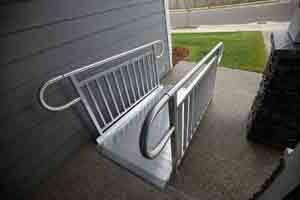 Why you should get a wheelchair ramp for your home? Our ramps and lifts are built to provide our clients with a safe and reliable way to get into their homes without having to worry about a potential accident. 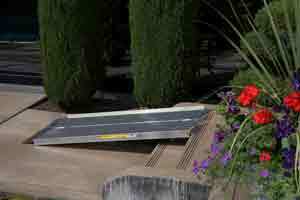 Our ramps can be used by any standard wheelchair, scooter, or walker. 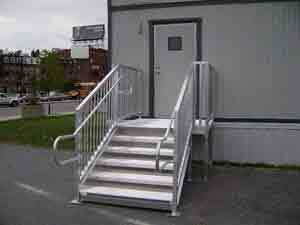 ADA Wheelchair access ramps for schools, churches and businesses. 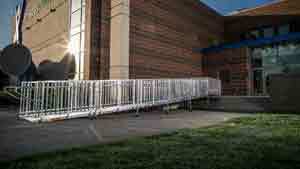 With these access ramps, your organization can be ADA compliant, allowing you to serve Americans with disabilities more efficiently. 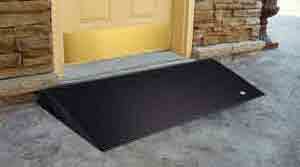 We can have your ADA ramp code compliant and ready quickly with our fast-free shipping. 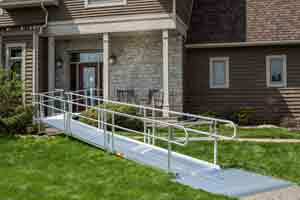 Order wheelchair ramps for your home or business today! 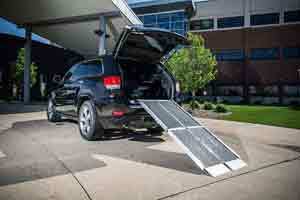 Traverse ™ Loading Ramps up to 1000 lbs. 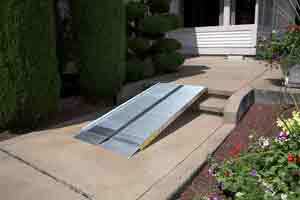 Great handicapped ramps for Steps, Decks & more. 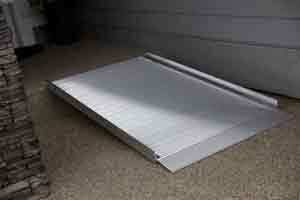 Perfect for Steps, Stages, Decks Trailers & more. 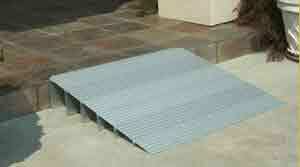 Self-Supporting and Easily Adjustable Ramps. Usable up to 4 3/4" high! 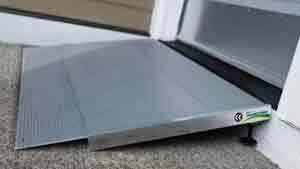 Easy installation - Be code compliant Fast! Available up to 60 inches high. 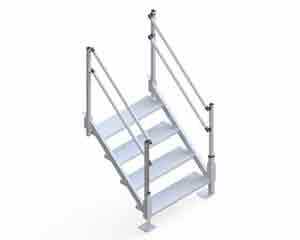 Install OSHA Portable Metal Stairs in Minutes! Our family owned and operated business has been helping people and organizations make their homes and locations accessible and ADA compliant since 1999, and we have done so with products made in the United States. 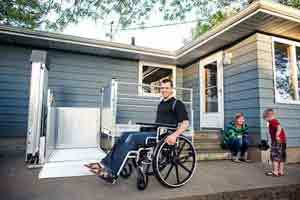 If you buy a portable wheelchair ramp from us, you will be supporting American workers and families. To learn more about how we can help you, contact our customer service representatives, or use our ramp wizard ramp calculator to help you pick the right ramp for your needs.